According to Time Magazine, there are up to 1000 North Korean refugees living in England. The majority live in New Maldon, which is the "largest North Korean refugee population outside South Korea". Estimates vary between fifty to two hundred thousand North Koreans living in China. What is life like in North Korea? Why is it so bad that people have to cross frozen rivers, trek over deserts, through jungles and seek asylum in places as varied as Thailand and Mongolia? These eighteen books for 2018 will give an insight into the mind of North Korean leaders, conditions inside the country, how difficult it is to escape, and the challenge of adjustment that refugees face once they have fled the country. Click the front cover of each book to be taken to its Amazon page. This prize-winning book recounts how North Koreans are told they live in the perfect nation even though they have experienced famine so severe that people commonly stumbled over bodies in the street and resorted to eating bark. This nation of 23 million appears empty when photographed from space due to a lack of electricity. It is a country where people risk everything evading border guards to cross the Tumen River and flee to China. Kang Chol-Hwan writes about the hardship of life in North Korea. This account documents political control, executions, starvation and his escape to South Korea. Shin Dong-hyuk was born in a political prison camp in the early 1980s. After years in a "total control" camp, where he witnessed many executions, he managed to escape. Perhaps an even bigger challenge than his physical escape was his adjustment to freedom. This book recounts the rise of Kim Il-sung and choices people had to make to survive the regime. It recalls the brutal carpet bombing of North Korea. It tells the story of a pilot who flew out of North Korean airspace and landed at an American airbase. Famine killed his father and caused his mother and sister to flee. Somehow Joseph Kim managed to survive on his own. Begging and stealing on the streets until he made his way to an American Consulate, Joseph entered America as a North Korean refugee, then lived with a foster family whilst continuing his studies. "I wasn’t dreaming of freedom when I escaped from North Korea. I didn’t even know what it meant to be free. All I knew was that if my family stayed behind, we would probably die - from starvation, from disease, from the inhuman conditions of a prison labour camp. The hunger had become unbearable; I was willing to risk my life for the promise of a bowl of rice". 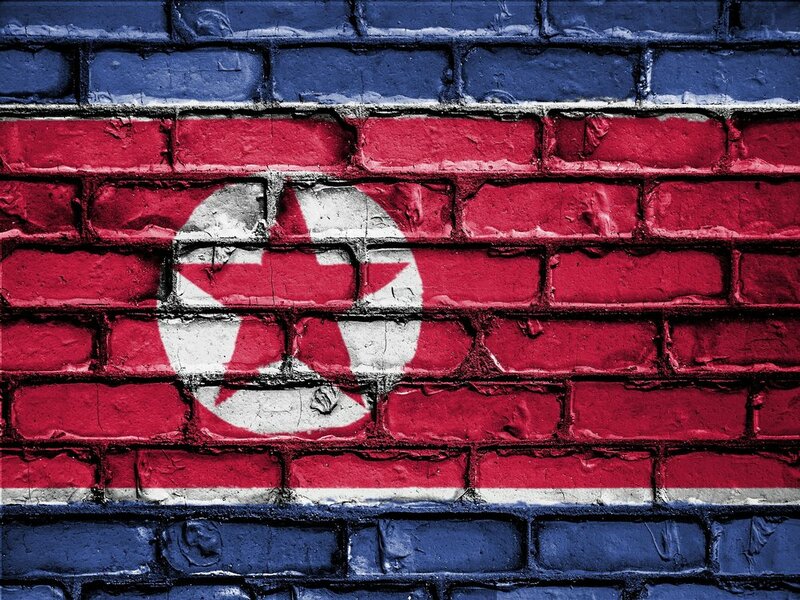 Hyeonseo Lee describes her childhood in North Korea and her subsequent escape to China. She then returned to North Korea to enable her mother and bother to escape. Her TED talk has had over ten million views and is described by Oprah Winfrey as "the most inspirational TED talk ever". In this book, a high-ranking leader defects. However, it was details about the OGD which really stood out from this narrative. The mysterious Organisation and Guidance Department appears to be the power behind the leader and the people who really make decisions in the country. Kim Jong-il was a massive film fan who was fed up with films produced in North Korea. In an attempt to improve the quality of North Korean films he decided to kidnap a famous actress and her director ex-husband. Abducted from Hong Kong’s Repulse Bay, confined for years in prison, the pair were pressed into service producing and acting in North Korean films. Finally gaining trust they travelled abroad from where they managed to escape their minders and flee to the safety of the American embassy in Vienna. A bizarre, unbelievable yet factual account. Following on from the strange but true abduction of famous South Korean film stars (above), Japanese citizens were routinely captured and taken to North Korea thoughout the 1970s and 1980s. Once in the country, they were kept away from North Koreans, and indoctrinated with the hope of being used as spies - or breeding children that could be spies. Although denied for years, the kidnap of thirteen Japanese citizens was admitted in 2002. Five were returned and eight were confirmed dead by Kim Jong-il. On his eighteenth trip into North Korea, American Kenneth Bae was arrested and imprisoned. This is his story of imprisonment and the international campaign for his release. Suki Kim describes North Korea as a vacuum where nothing moved: "No news came in or out. No phone calls to or from anyone. No emails, no letters, no ideas not prescribed by the regime". Insights into the country are gained by the author when she taught the children of the ruling class in an elite university. This book answers questions such as: How Does the Leadership Obtain Luxury Goods? "The Kim family possesses two luxury yachts…Kim Jong-un’s suits are cut from cloth from London’s Savile Row; his wristwatch is made by Swiss firm Movado. Amid strict international sanctions on the trade of luxury goods to the DPRK, how do all the above - and so much more - manage to find its way into North Korea?". "The North Korean propaganda taught that everything good for its people existed because of Kim Il-sung and Kim Jong-il. The outside world, of course, proved otherwise so the regime had to work hard to keep such contrary evidence out". Smuggling Light tells the inspirational story of how Esther overcame her prejudice to selflessly help North Koreans. More of a scholarly read than a page-turner. The final chapter is entitled No Easy Ending, which must be what world leaders are continuously wondering. Of particular interest is the section about working with North Korean refugees. These refugees are crucial in at least three ways: as role models, channels of information and major players "when the eventual collapse and/or transformation of North Korea finally arrives". It is not far-fetched to believe that refugees from other countries have a similarly important role. By helping one person in our neighbourhood we potentially could be helping to rebuild a distant nation. This book is a serious attempt to answer the following question: how do you solve a problem like North Korea? Read it and find out more. A story of how three North Korean lives intertwine. Described as a novel, but the narrative rings true with other North Korean experiences. Reading it, you will forget it’s a fiction. But is it really? There are your eighteen books for 2018. Here is a bonus one! Let’s end with perhaps the oddest book of the lot and available for just £2.06! Eating with the Enemy tells the weird tale of how Bobby, the American owner of a barbeque restaurant, befriended North Korean officials. Yes. It’s apparently true! As a result of the friendship, he hosted athletes, worked as an FBI informant and became an "unofficial ambassador" himself. Perhaps if Bobby Egan could have a positive effect on North Korea, maybe - just maybe - we can make a bigger change than we can imagine. We make a difference to refugees and asylum seekers who live in our cities. We too can challenge the injustice that creates 65 million refugees worldwide.